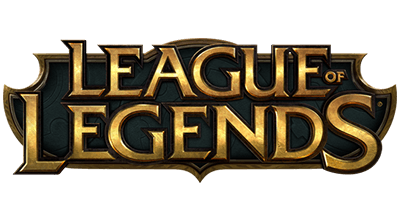 League of Legends is one of the most popular online multiplayer games in the world with over 60 million active monthly players. 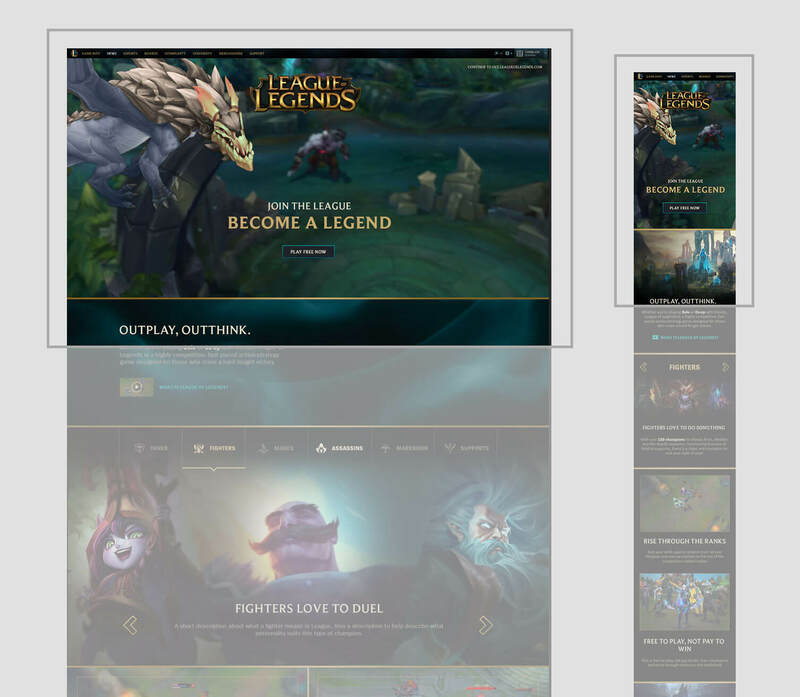 See how we worked with Riot Oceania’s creative team to build on that success and improve League’s online acquisition funnel globally with an update to the landing page. League of Legends is a global game with 14 servers, 60 million monthly players and separate publishing teams across the world trying to solve the same problems such as acquisition. 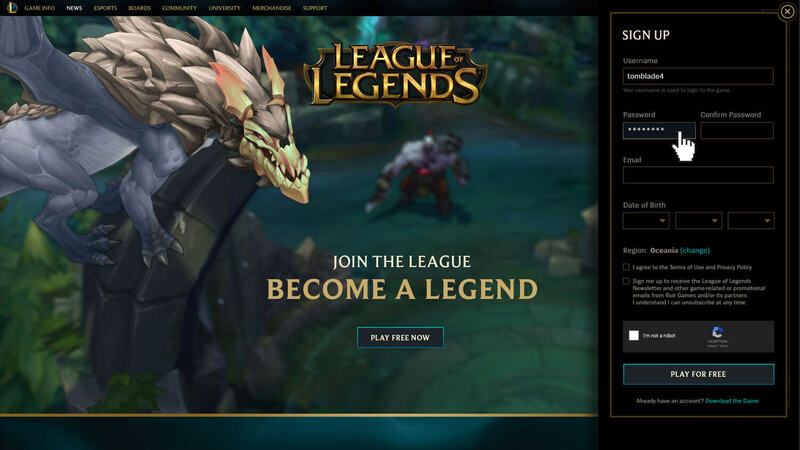 Beginning with the Oceanic region, we looked at the existing Central-designed acquisition page and found that it was outdated in style and execution - and did little to sell the best aspects of League, let alone encourage visitors to sign up and become players. Besides some artwork, there wasn't any real directive for a new visitor on why they should invest their time - why League? The Centrally designed page had did not offer much in way of selling - and hid all the contents behind clicks/hovers. Working with the Oceanic Creative team, we took a ground-up approach and began with a wireframing process to figure out what contents, feelings and engagement points we wanted visitors to journey through. The new page needed to guide visitors into getting a grasp on WHAT and WHY League should be the game for them. 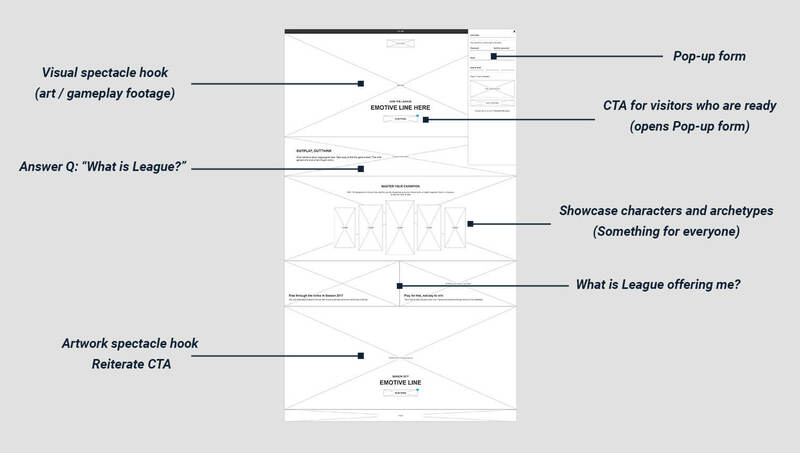 We took a ground-up approach and began with a wireframing process to figure out what contents, feelings and engagement points we wanted visitors to journey through. The final pre-design wireframe after weeks of iterations, feedback and testing. We needed to make sure that our execution matched League’s visual language and that visitors arriving to the page immediately got the feel for the game’s style and brand. 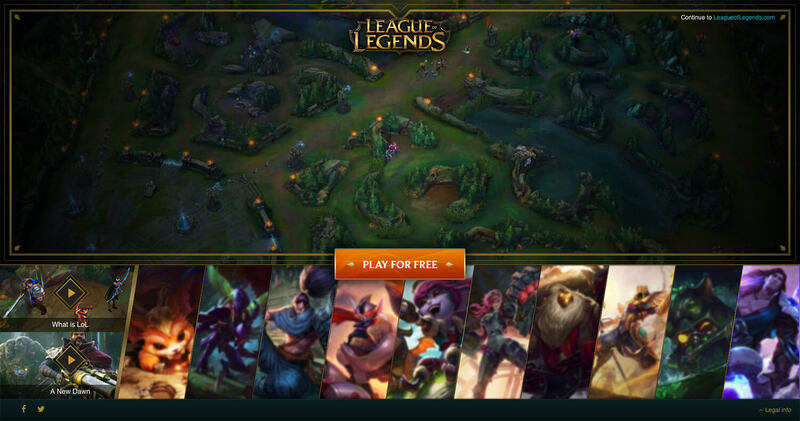 Being the initial contact point with a potential new player, the landing page could very well be the only piece of League content that they experience before deciding/not-deciding to sign-up. Utilising League’s wealth of beautiful artwork and exciting gameplay footage, we were able to design the page to immediately deliver the right vibe. Our top visual spectacle used in-game captured footage to show gameplay and artstyle. The page was designed with responsive considerations in mind for both desktop and mobile. Big upfront in-game captured footage offers visitors an immediate fundamental understanding of the genre/game-type. After a successful launch and positive results, other regions became interested. Initially designed for Oceania, the results that came after the launch ultimately lead to a global rollout of the page across nearly all regions, replacing existing acquisition pages and hitting millions of eyeballs worldwide. Because we designed from the ground-up, we were able to help Riot address specific issues with their acquisition funnel.